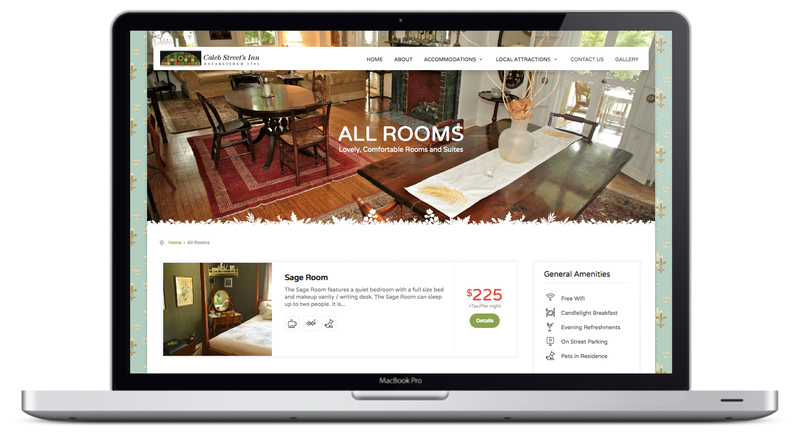 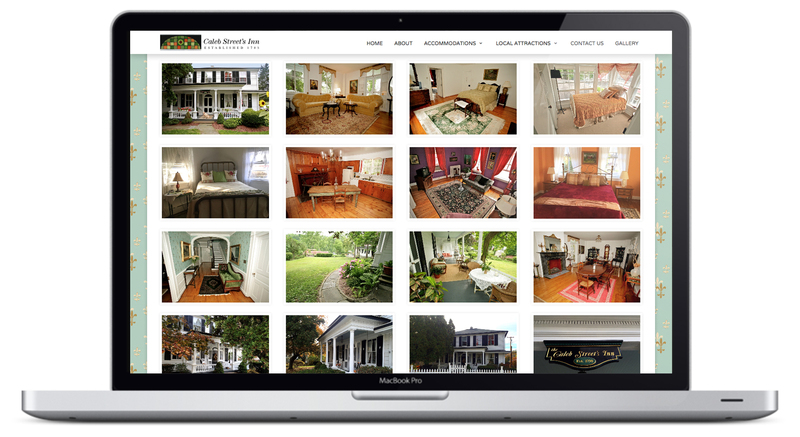 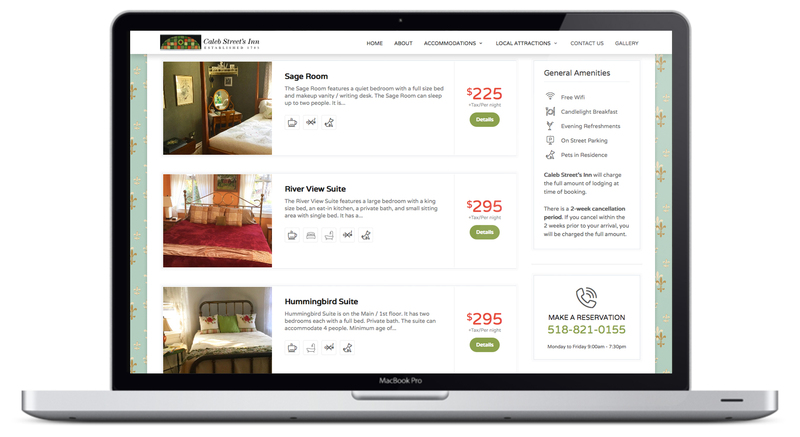 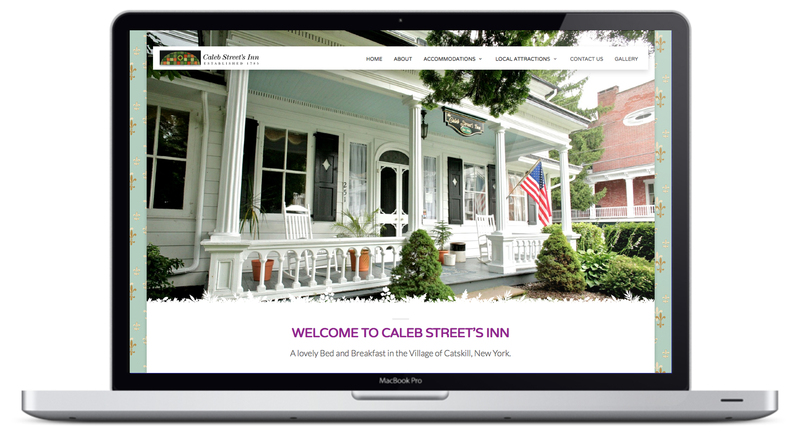 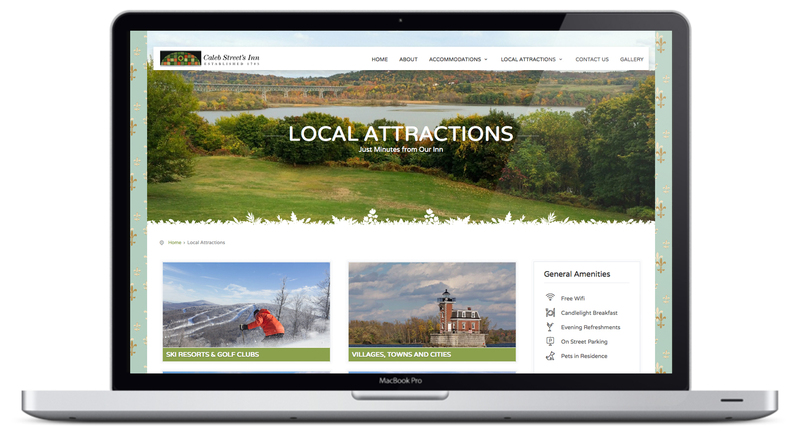 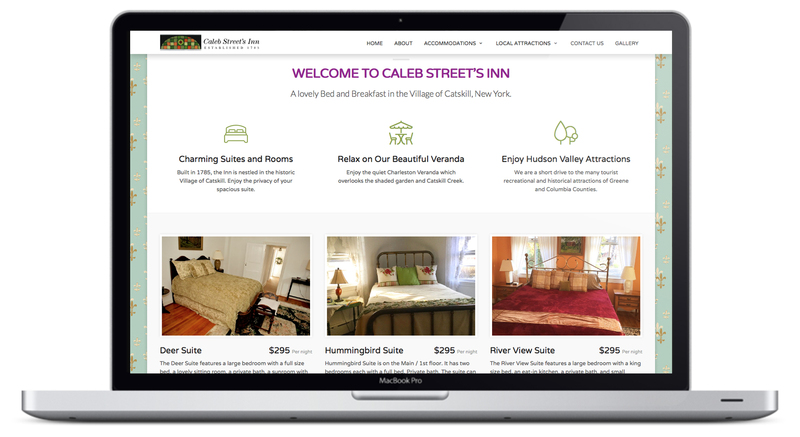 Caleb Streets Inn is a bed and breakfast in Catskill, NY. 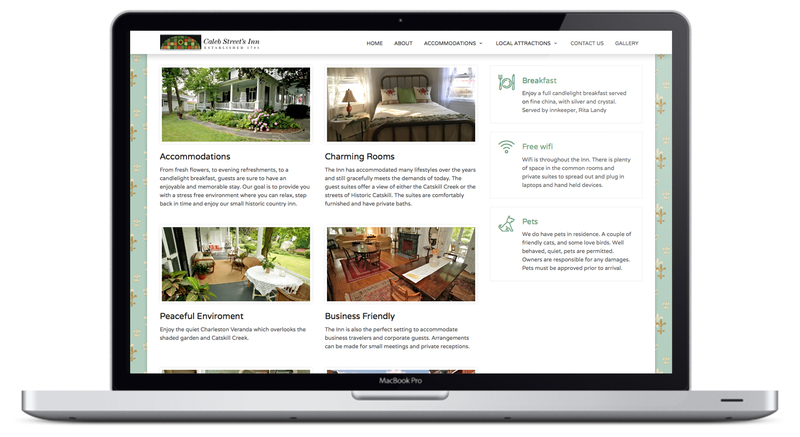 The project to design a website to reflect this lovely B&B started with taking photographs and sipping a gin and tonic on the veranda. 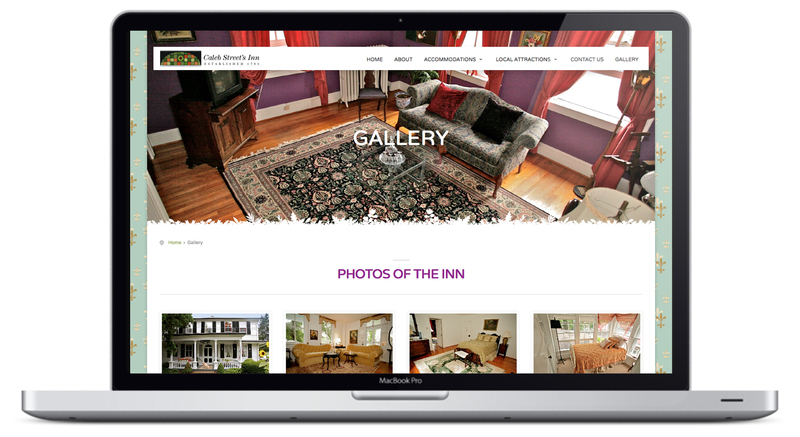 The owner and the house have a southern charm you might not expect in upstate New York. 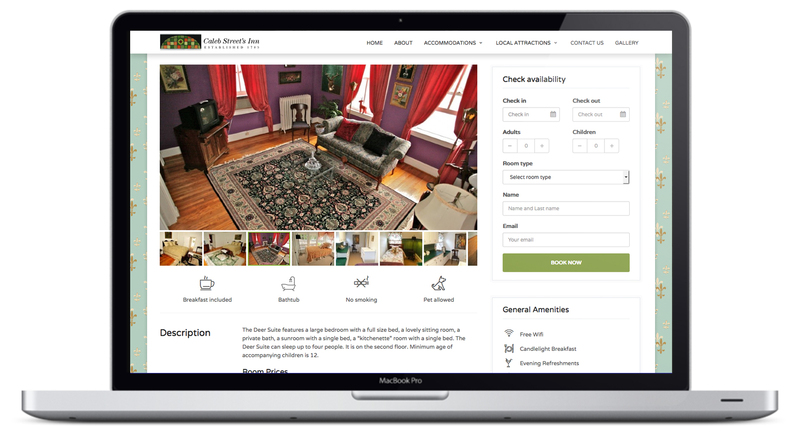 The background fleur-de-lis imagery was designed to mimic the wallpaper in the center hall of the house.